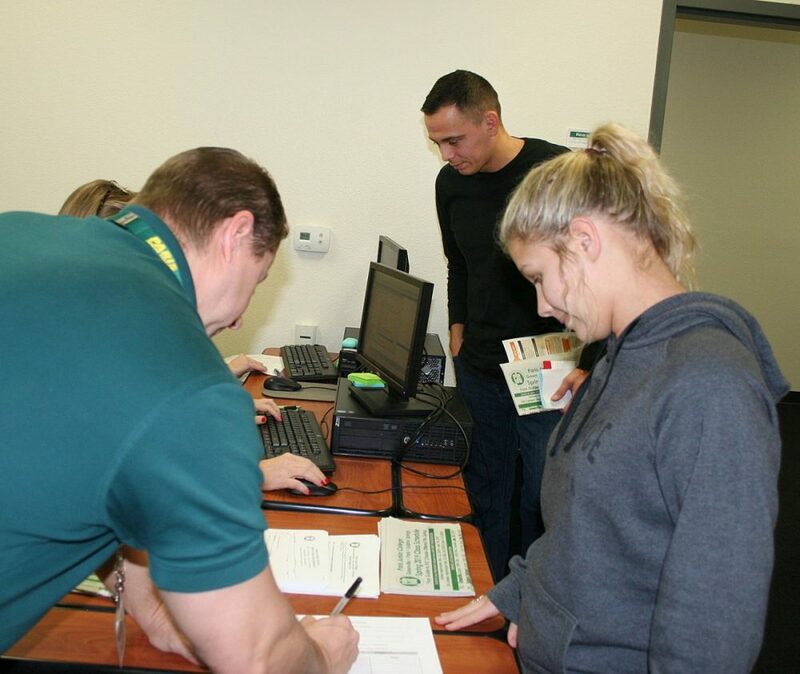 Gerald Zavala, back center, and Jacelyn Wilkinson, right, both of Sulphur Springs, complete enrollment for the spring semester at the PJC-Sulphur Springs Center during late registration Wednesday. Assisting with the process is Advisor Carey Gable along with other PJC staff. The spring semester begins Tuesday. For more information call 903-885-1232.